If you've seen Star Wars: The Force Awakens you'll remember that an old favourite character, the protocol droid C-3PO, is sporting a new red arm. What you likely didn't know is why. The film did draw attention to the arm with C-3PO even talking about it, but little more is even hinted at. If you were left feeling teased this is likely because that was exactly the plan. Following on from the movie Marvel has released a comic for the gold robot himself dubbed Star Wars: C-3PO #1. Within that comic is the backstory of just how the new red arm was acquired. So, while it's clear this was all done as a way to get movie fans reading comics, this spoiler should negate the need to read. Although the comic is worth a read too. The comic tells the story of Admiral Ackbar's imprisonment by The First Order and consequent rescue attempt by a team of robots. All are slaughtered as, you know, "it's a trap". But C-3PO gets out only losing an arm. He replaces that with the arm of a fallen robot comrade, Omri, so he won't forget that the bot died so C-3PO could be saved. There you have it, tale told. Although, of course, reading will be far more interesting and moving as the writers have done a good job of showing the robot's perspectives. 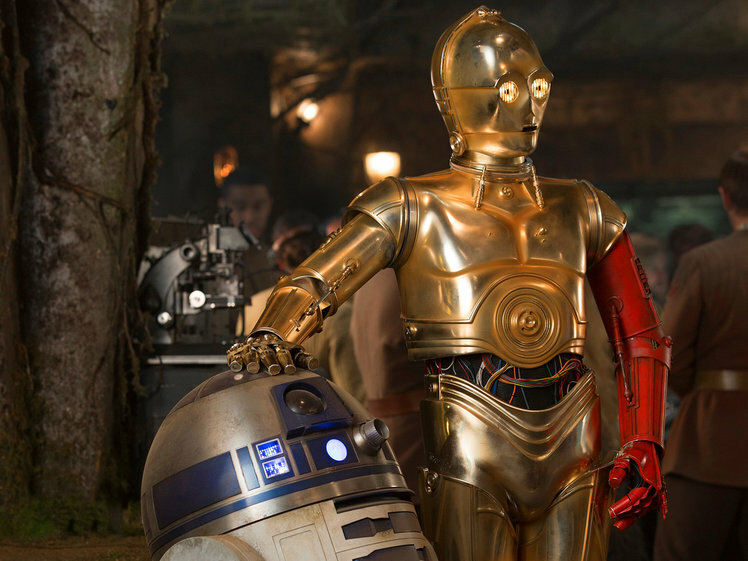 Will C-3PO keep the arm for future films, where promoting the comics isn't as big a concern? We'll have to wait until 2018 to find out.